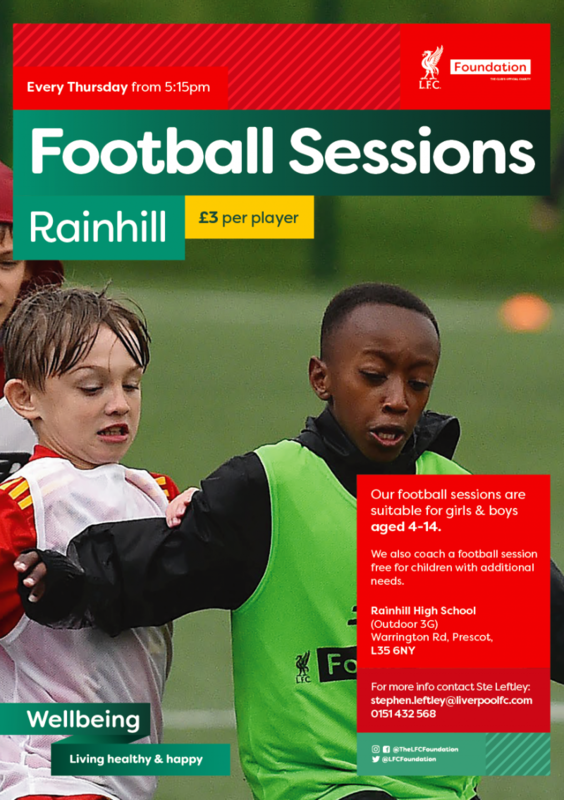 Come down to the LFC Foundation Football Sessions every Thursday, from 5:15pm at Rainhill High School. Our team of FA Qualified Community Coaches provide young players with an opportunity to develop, learn new techniques, skills and make new friends all under the guidance of our coaching staff. In addition, we also have a specially designed coaching session for the games youngest players (4 to 6 year olds) and a Disability Football Session (PAN), for children with additional needs. Contact Ste Leftley to find out more about our weekly football at Rainhill.